A busy and varied week has come to a close. Continuing my parish Visitation of St. Kentigern’s Deanery, Blackpool, I spent the weekend at Sacred Heart parish (under the shadow of the celebrated Blackpool Tower! 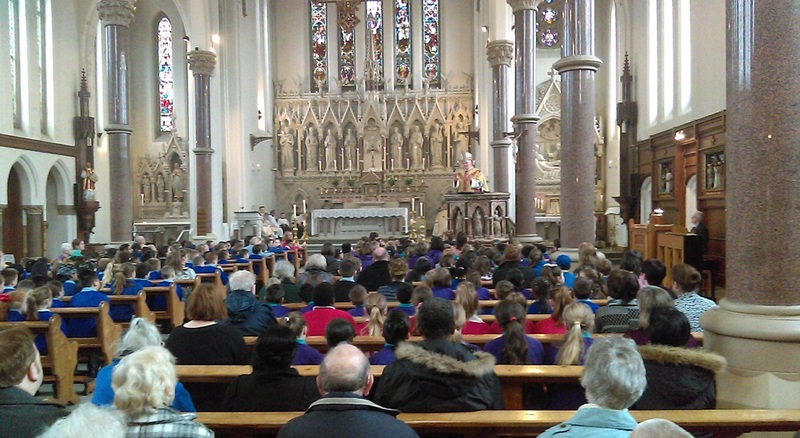 ), meeting the parishioners and visitors and celebrating the principal Mass. The Sacred Heart church in view of its central location attracts many holiday visitors from different places, and it was a particular pleasure to exchange a few words with a number of them at the end of the Masses, and to admire their fidelity to the Lord when away from at Sunday Mass. The friendliness and warmth of the people really lifted one’s spirits – it was a jot to be among them. 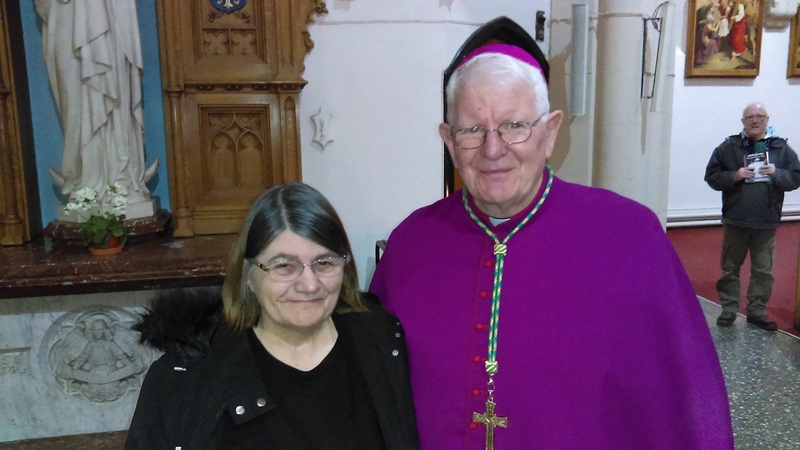 I also visited some housebound parishioners, and hopefully by my presence as Bishop reassuring them of their important place in the life of the Church. 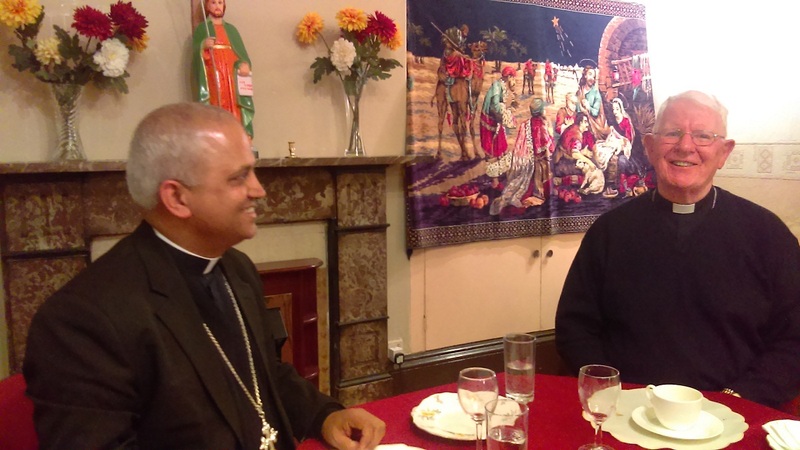 On the Sunday night, I was invited for dinner with the Syro-Malabar Bishop – Mar Joseph Srampickal at St Alphonsa Cathedral House in Preston to celebrate his ‘name day – St Joseph. 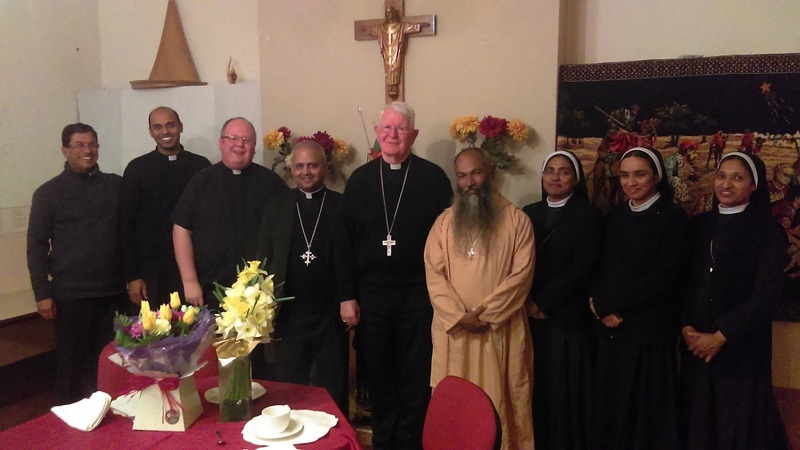 It was good to hear first-hand of the progress and plans for the recently-established Syro-Malabar Eparchy for Great Britain and for me to able to express the prayers and support for Mar Joseph from the Diocese of Lancaster. 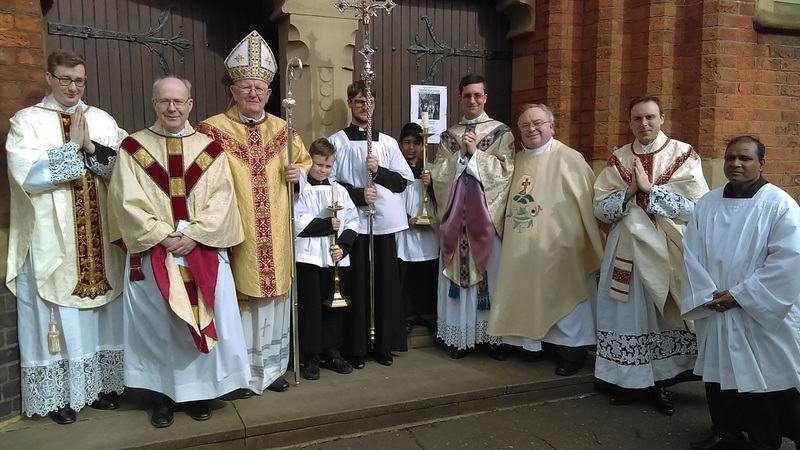 The church of St. Joseph, now part of St. John XXIII Parish in Preston, celebrated its patronal feast last Monday with a concelebrated Mass, at which I was joined by the resident priests and others from the city. 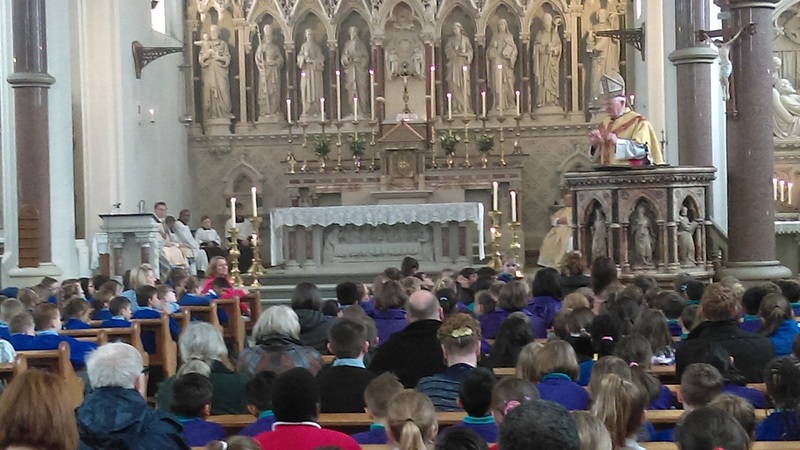 The Mass marked the culmination of a commendable nine-day novena in honour of St. Joseph and, apart from parishioners, there was an excellent attendance of children and staff from the five primary schools in the parish who had been extremely well prepared and catechised for the Mass. 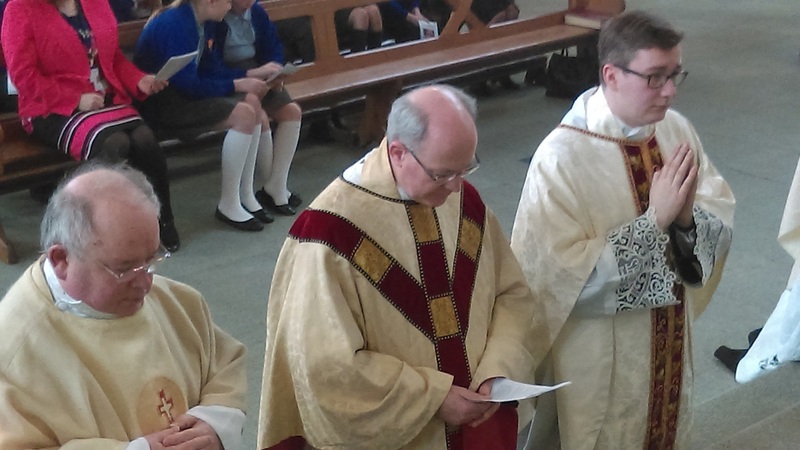 The hard work of the priests, with the close cooperation of the schools, made for a wonderfully dignified celebration, and exemplified Catholic education at its best. 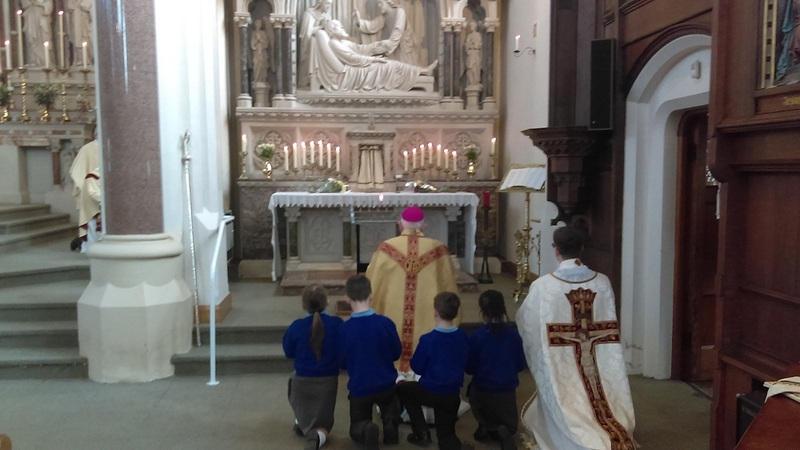 Particularly memorable was the confident rendering of the Panis Angelicus by two year six children during the Communion. 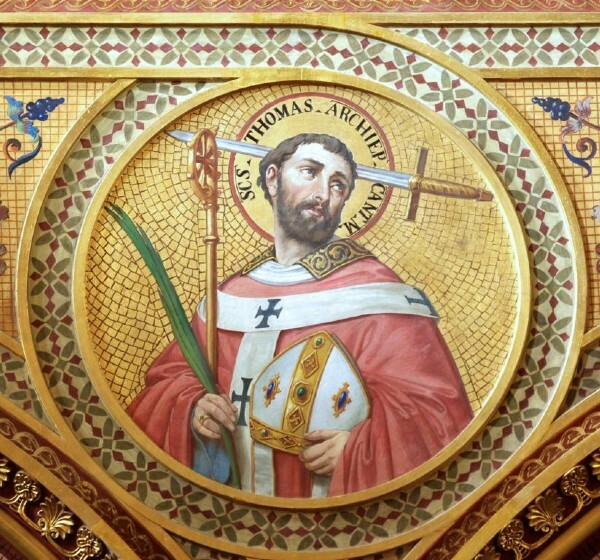 How the author of the sacred piece, St. Thomas Aquinas, must have been smiling down from heaven! I was particularly happy to bless, in the name of our local Church, the three new priests of the parish in their mission. I pray, that through the powerful intercession of St Joseph, patron and guardian of the Universal Church, the mission, people and priests of St John XXIII Parish will be richly blessed. 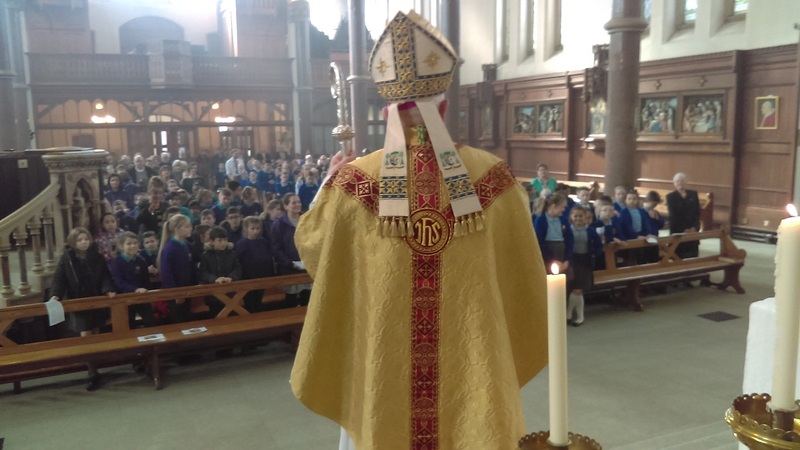 Meanwhile, The Catholic Education Service organised a day on Wednesday in London for Bishops and others involved at diocesan level in Catholic Education. I was glad to be able to attend. It was a reflective time against the backdrop of recent trends and government initiatives in the field of education. 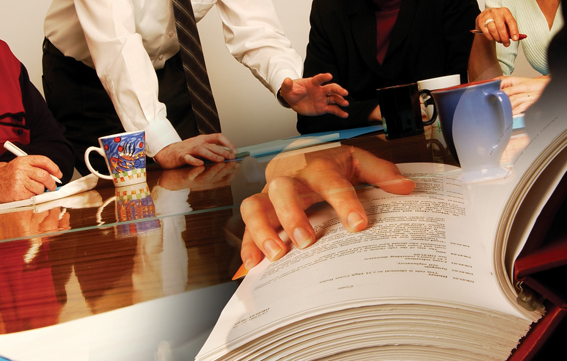 The challenges facing the Church in recruiting sufficient numbers of Catholic teachers, particularly at leadership levels, were acknowledged. Yet it was also felt to be a time of opportunity, despite the rapidity and far-reaching nature of change enveloping us. 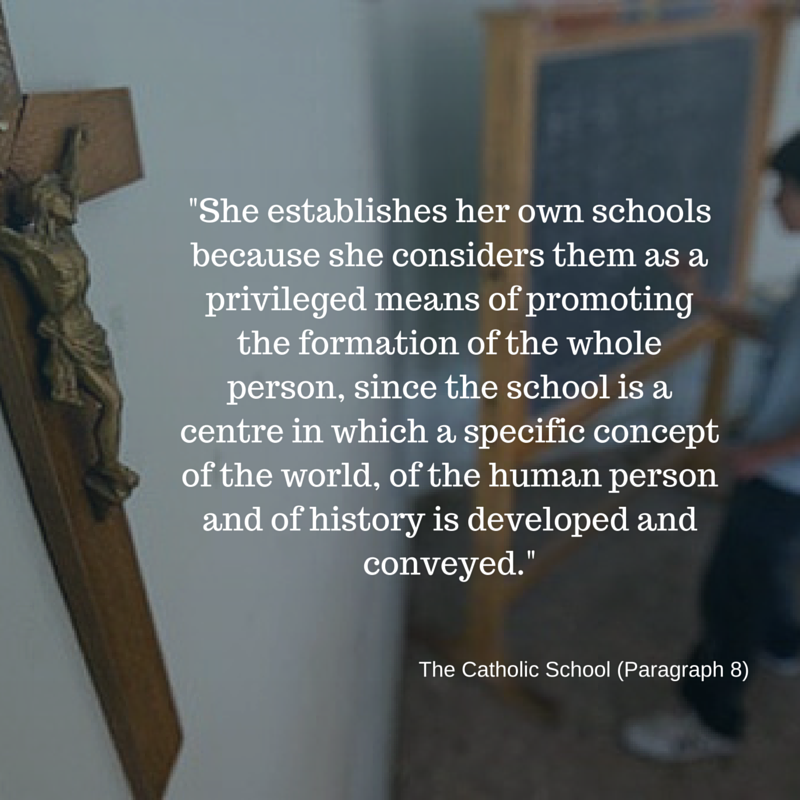 The goal of teaching and handing on the Catholic faith must remain central to our Catholic schools whatever the patterns and format which will characterise education in coming years. 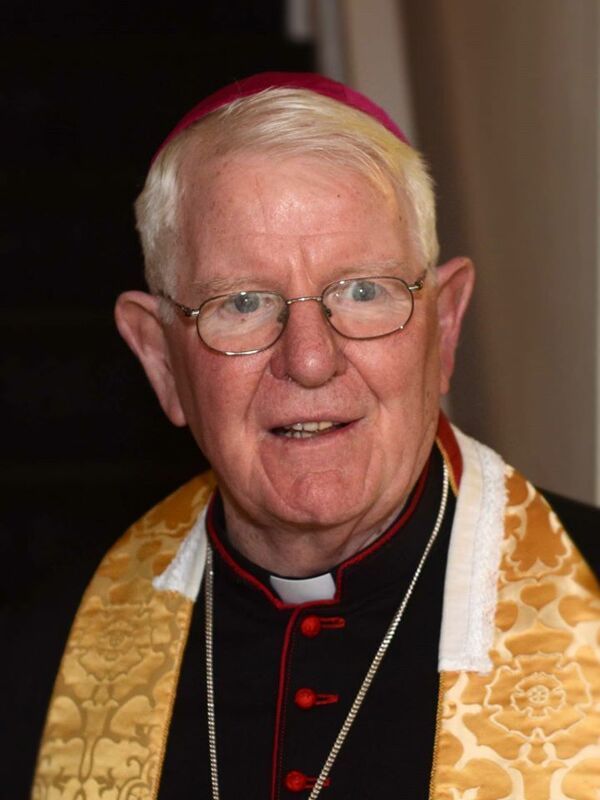 This latter point, perhaps, was the overriding concern of the conference and well expressed in the concluding remarks of Cardinal Vincent Nichols – President of our Bishops’ Conference. 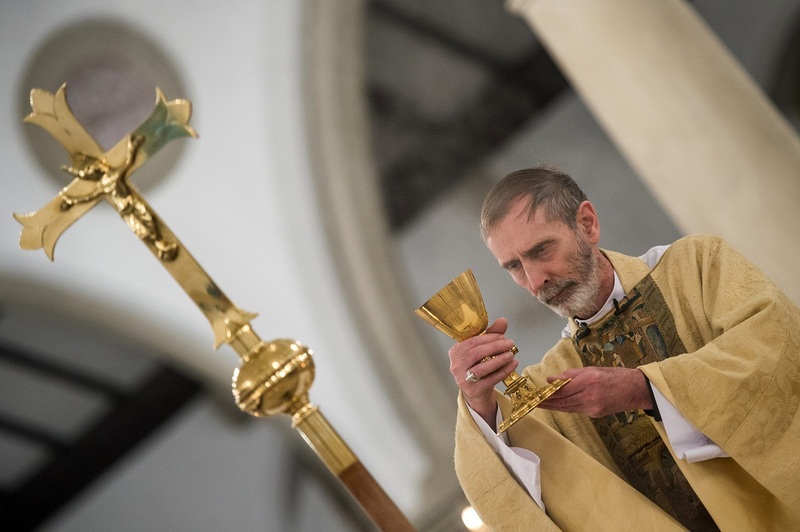 The Diocese of Brentwood marked the centenary of its foundation on Wednesday, one hundred years to the day that part of the East End of London and the county of Essex were taken from the archdiocese of Westminster to constitute the new diocese. 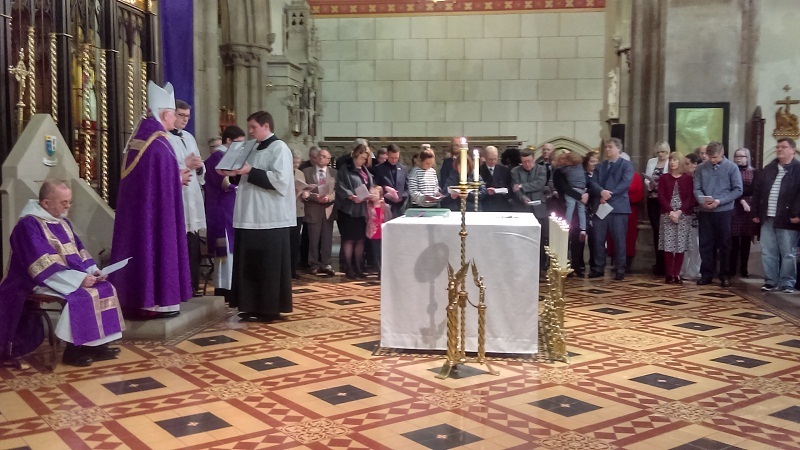 The Cathedral of Our Lady and St. Helen was full to capacity as, clergy, religious and faithful – with their bishops – joined in a Mass of Thanksgiving in the evening for a century of Catholic life as a diocesan family – even if shocked by the day’s terror attack in Westminster. 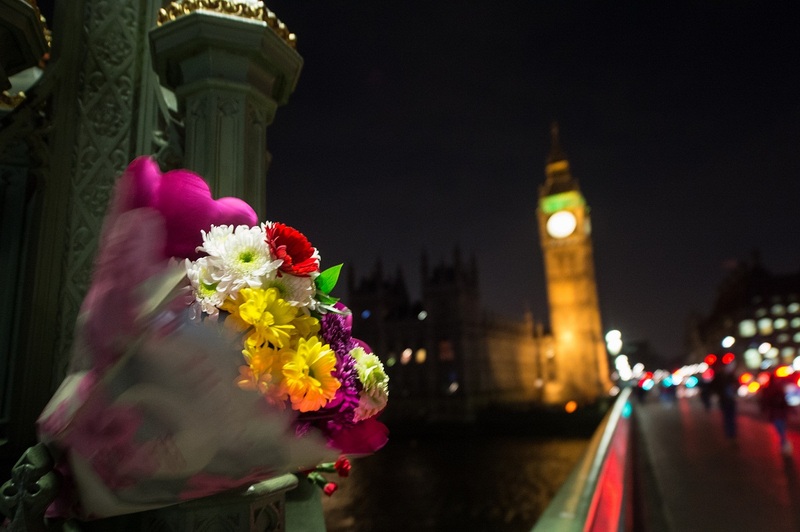 We continue to pray for the victims! 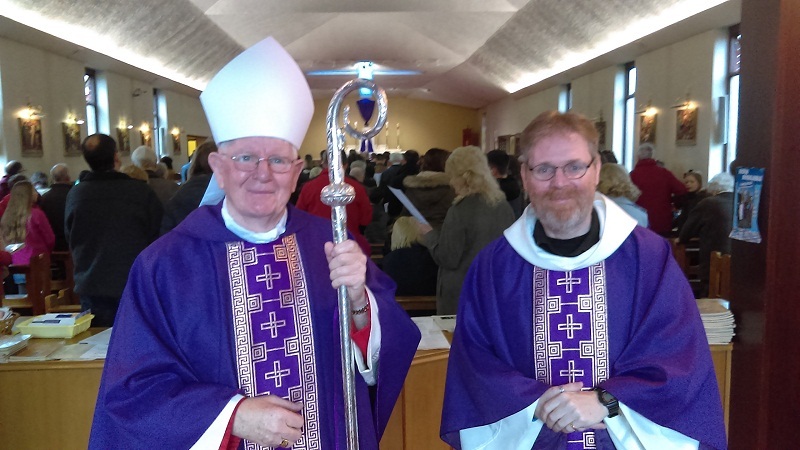 I was happy with many other Catholic bishops of England and Wales to join Lancashire-born Marist Bishop Alan Williams in what was a fitting and satisfying liturgical celebration. The diocese was erected during the days of the First World War and suffered greatly during the air-raids of the Second World War. 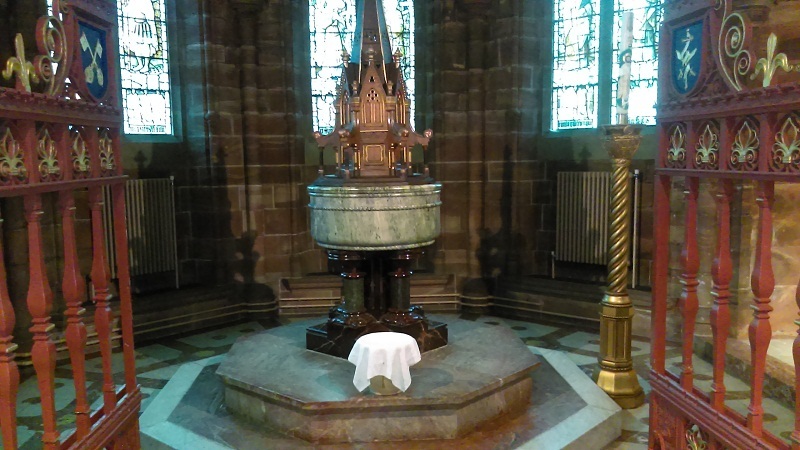 The faith endured, however, in spite of it all, and there was an underlying sense of satisfaction and gratitude to almighty God in the cathedral for a faith-journey already travelled in the past century, with much hope for the as yet unknown future. 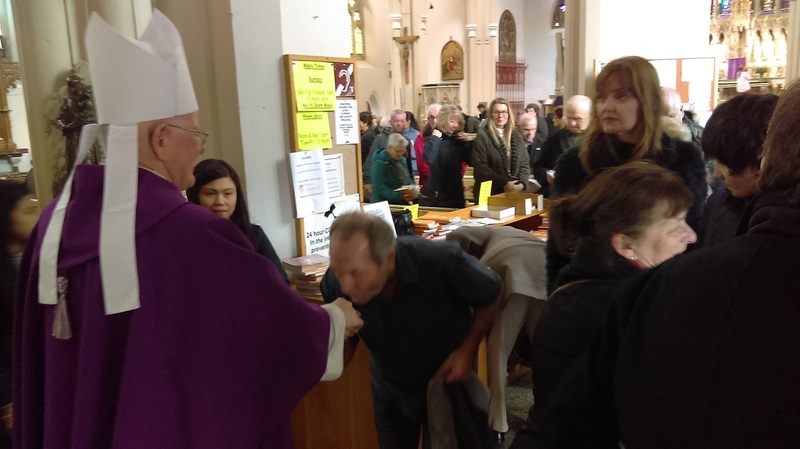 Finally, I thought what a privilege and treasure we Catholics have in the mystery and sacrifice of the Mass, and how it perfectly fits all the great (and small!) moments of Church life. 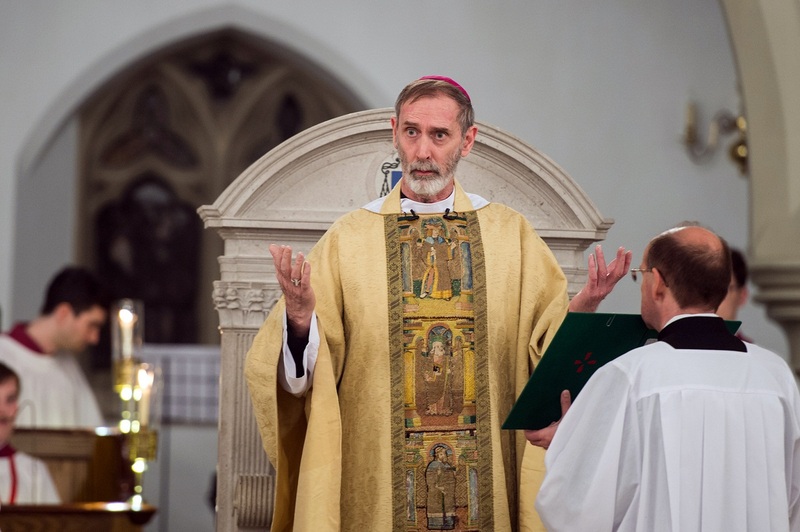 This was indeed the case in Brentwood cathedral on Wednesday evening, as we were again touched by the holiness of Christ’s self-offering to his Father, enshrined for all time in the Mass. 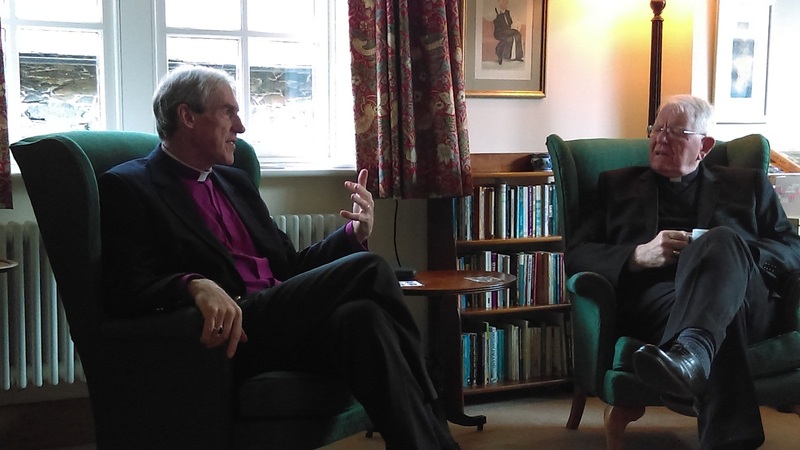 On Thursday, after popping in for a coffee at Castlerigg Manor, I enjoyed the relaxing and gracious hospitality over lunch of the Anglican Bishop of Carlisle, James Newcome and his wife, Alison, at their home in Keswick. 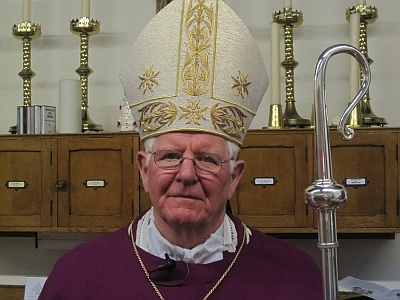 Bishop James spoke of his work for the Diocese of Carlisle and in the House of Lords. It was good to hear of a Christian presence within the deliberations of such an important body on subjects of abiding interest. 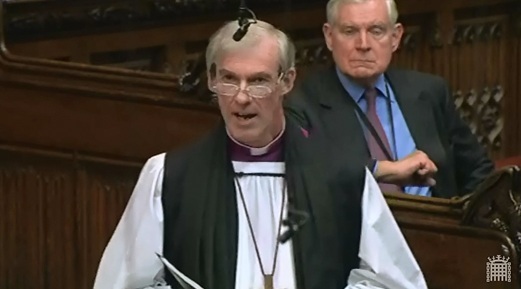 Bishop James also spoke of the forthcoming initiative Moving Mountains, inspired by the Anglican and other Christian communities, of stirring up and renewing the Christian faith in Cumbria. This is a worthy initiative and I assured Bishop James of our prayerful support. 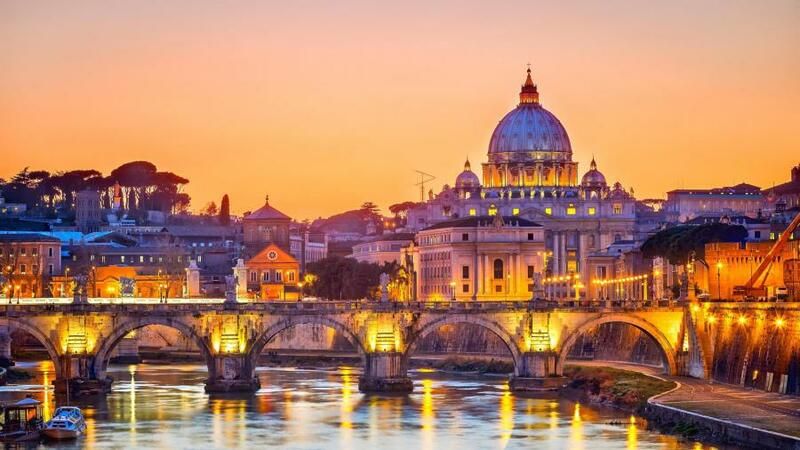 I have spent the last week in Rome with two of my brother bishops on our yearly Visitation of the Venerable English College and the Pontifical Beda College, both of which train students for the priesthood in the English speaking world. 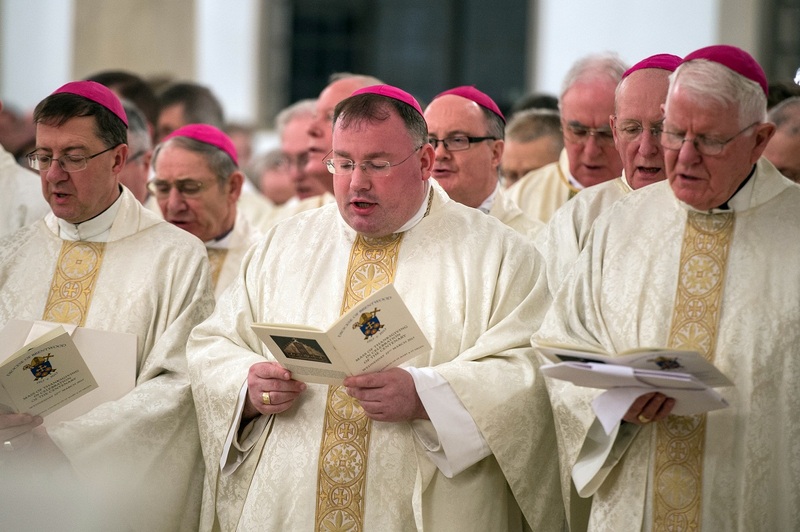 We do this work on behalf of the Catholic Bishops’ Conference of England & Wales, the body of bishops ultimately responsible for these two colleges. 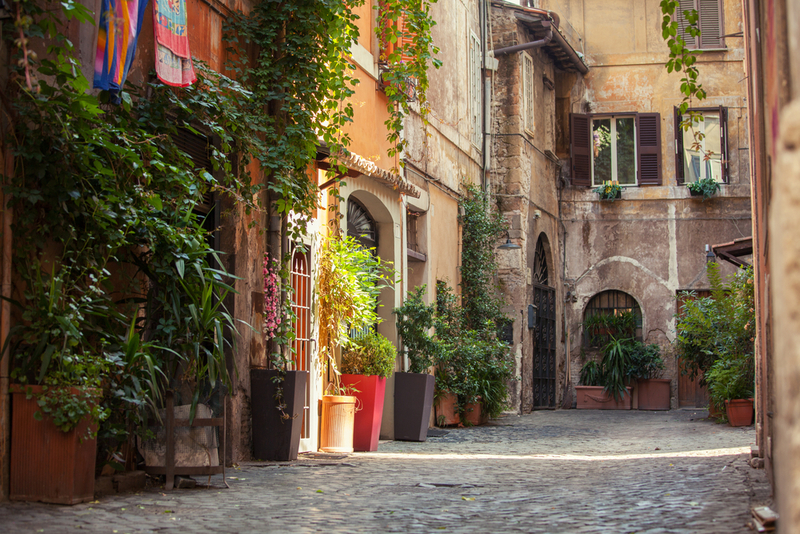 The deeply historic English College is quite central to the city of Rome, while the Beda lies more in the suburbs, opposite in fact to the wonderful basilica of St. Pauls-outside-the Walls. Each one of us has his or her own favourite church which speaks to us in a unique way. For me, the annual Visitation of the Roman Colleges would be incomplete if I did not succeed in a visit to the basilica of St. Pauls-outside-the Walls. 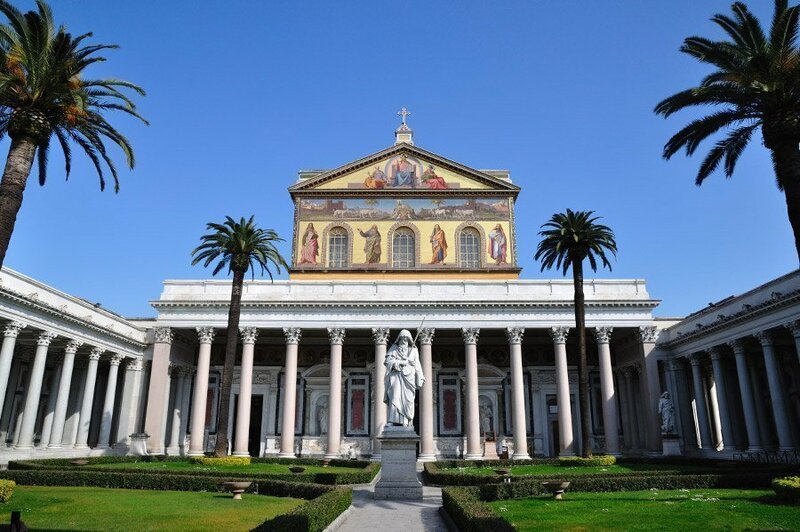 What a most inspiring basilica and house of God! What strikes the visitor to St. Pauls is the grandeur and spaciousness of the building. It has the effect of stopping the human spirit as you gaze around and, certainly for me, evoking a sense of wonder, even awe. 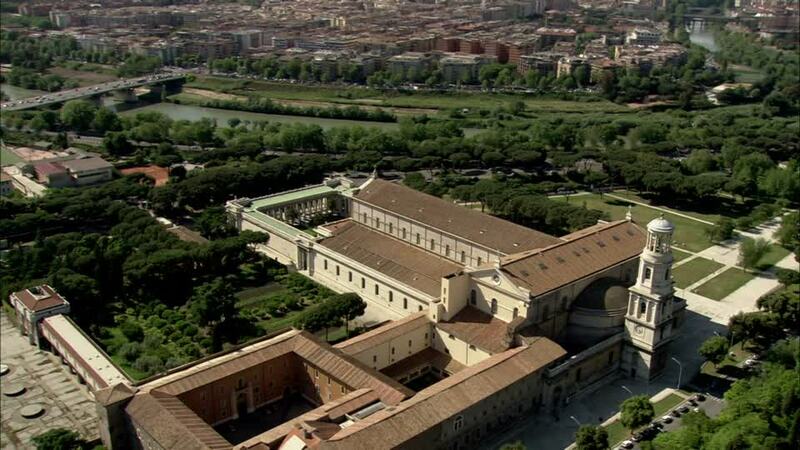 An excellent Virtual Reality Tour of the Basilica can be found here. 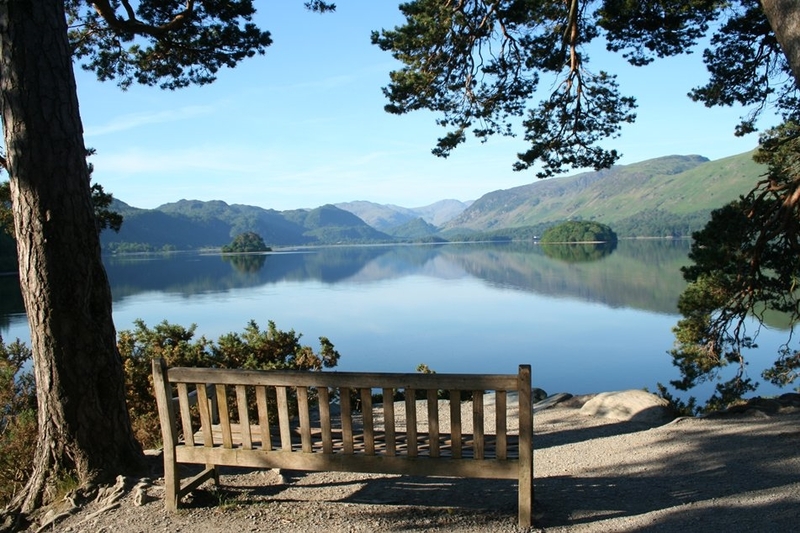 The atmosphere of stillness and silence, undisturbed by few visitors, leads a person to ponder, albeit briefly, on the grandeur and majesty of almighty God. The human achievement in the construction of such a measured and well-ordered building to the glory of God stands as a wonderful expression of what humanity is capable of. In addition to the Papal Basilica, the complex includes a very ancient Benedictine Abbey, restored by Odon of Cluny in 936. This Abbey remains active today. 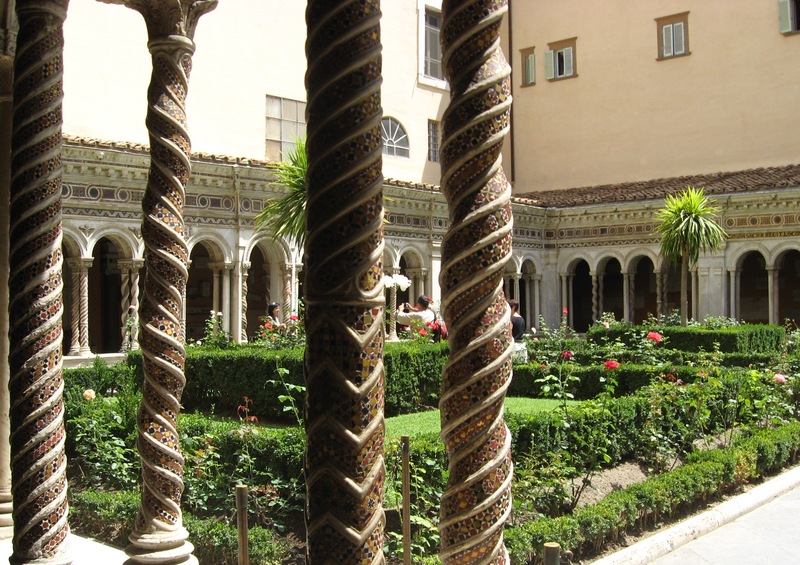 The Benedictine Monks of the ancient Abbey, founded near the tomb of the Apostle by Pope Gregory II (715-731), attend to the ministry of Reconciliation (or Penance) and the promotion of special ecumenical events. 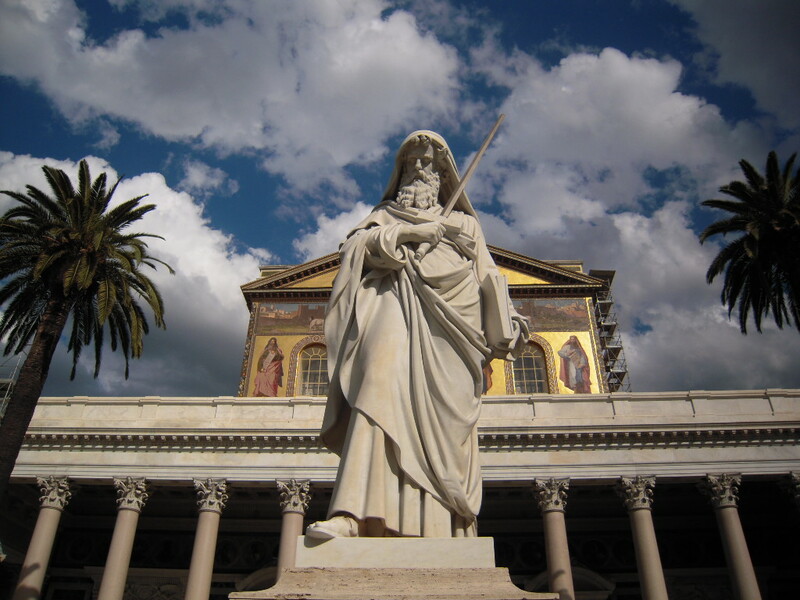 The basilica stands on the site of the martyrdom of the apostle Paul and therefore marks a precious link with the apostolic age and the beginnings of our faith. Unlike the other major Roman basilicas, or so it seems to me, St. Pauls-outside-the-Walls does not have the same volume of visitors and tourists, and consequently retains a particularly prayerful atmosphere. 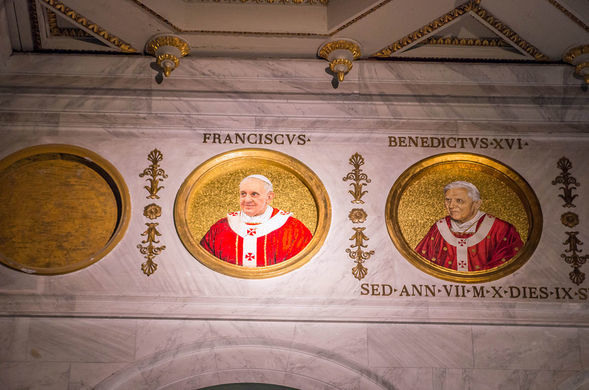 A notable feature is the depiction in art form of all the Popes, going back to St. Peter himself. Yet the basilica is restrained in terms of art and statuary, and this allows the mind to wander, wonder, and glimpse in some small way a sense of the mystery of God enshrined in this most noble of earthly constructions. Here I seem to find a rare peace and serenity for the short time I spend there. The dimensions of the basilica do make a person seem small, but at the same time ushers us into the presence of the One infinitely greater than we can imagine and causes the passing pilgrim to stand and silently wonder. Before I departed, I lit a candle for everyone in the Diocese of Lancaster, and I left the basilica satisfied and at peace. A worthwhile visit indeed! 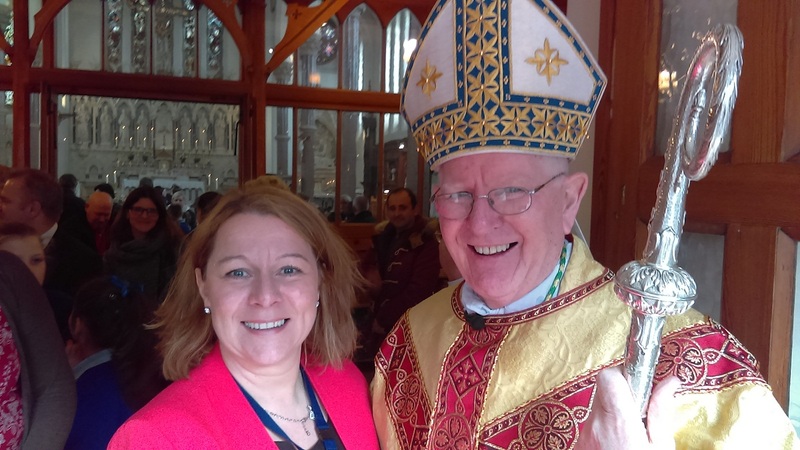 Welcome to this week’s post on the Bishop’s Blog! 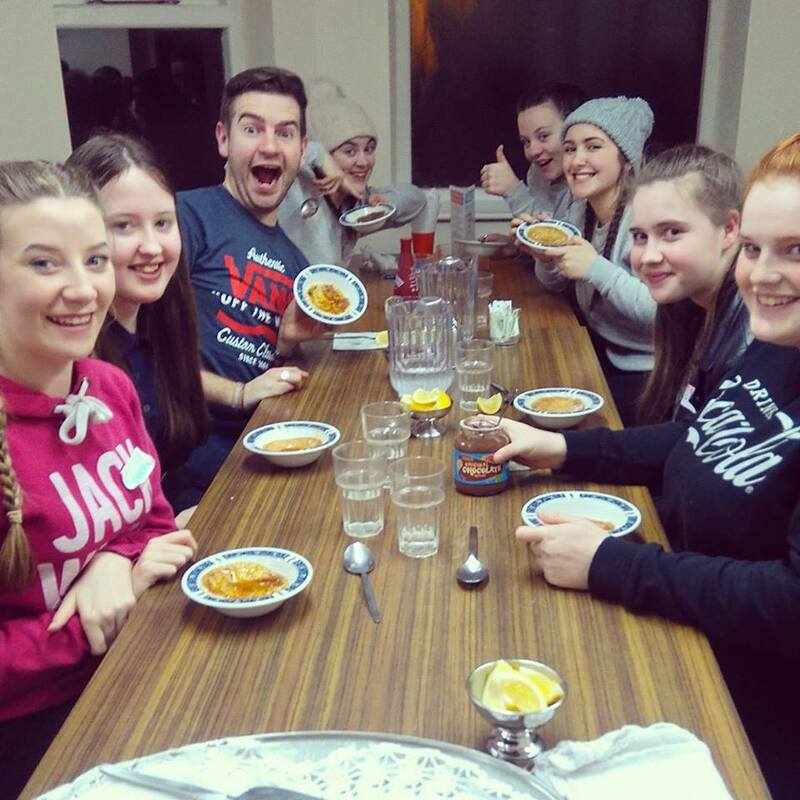 Last week, I travelled to our diocesan youth centre, Castlerigg Manor, near Keswick, in the heart of the Lake District. 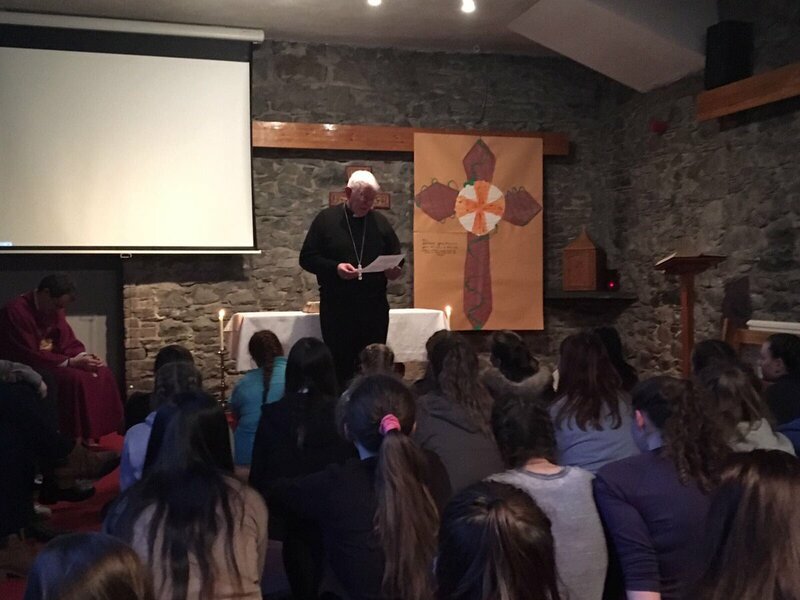 I spent twenty-four hours there on a Visitation there with the Youth Service staff and a group of young people who were on a week’s retreat. 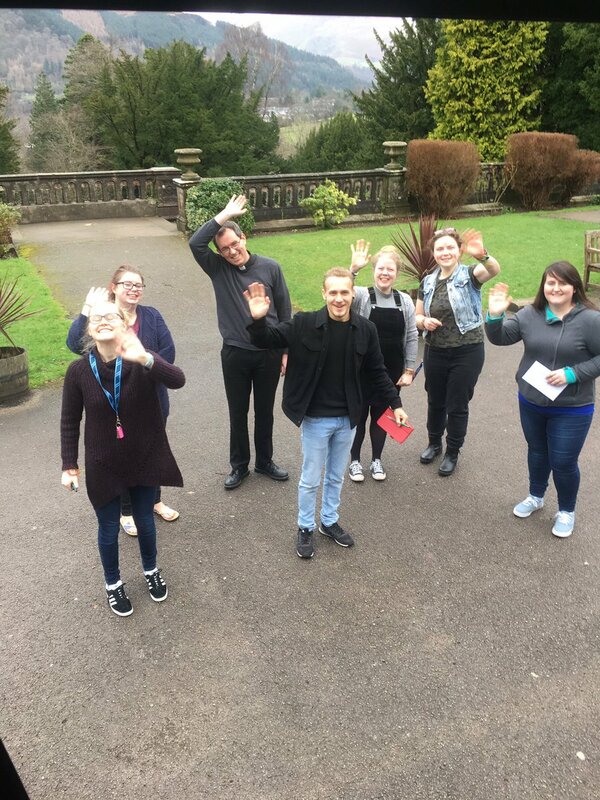 It was good to be with and hear modern youth at first hand, and this particular group of young people from Blackpool were impressively well-behaved. The tops of the nearby peaks were covered in snow which added to the attraction of Castlerigg, especially to those from urban areas. 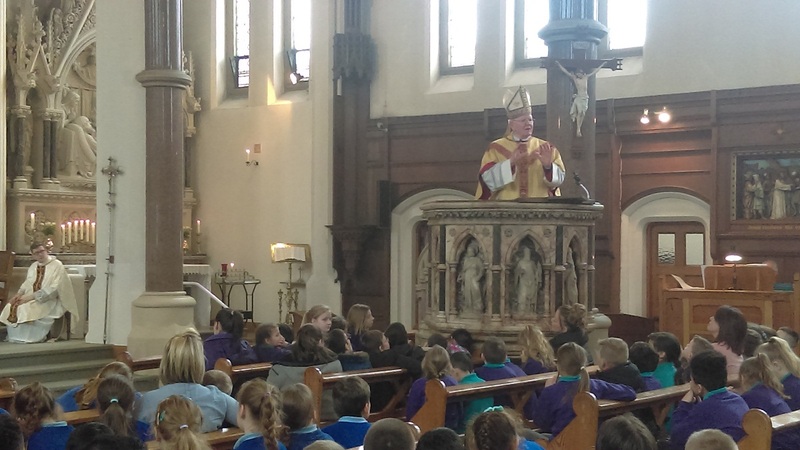 I was particularly glad to have the occasion to read to the young people my Pastoral Letter for the Beginning of Lent. 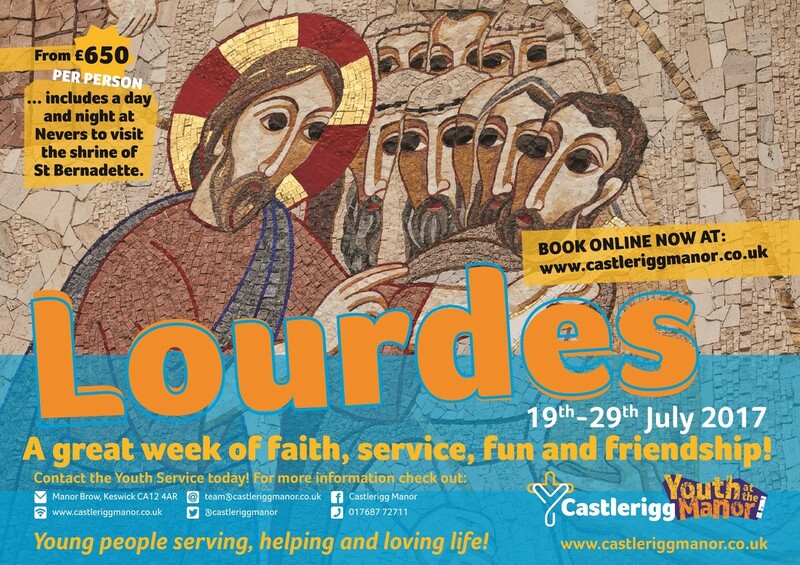 I know, too, that the Director and staff gave a good push to our diocesan recruitment for the youth section of our diocesan pilgrimage to Lourdes. This is a major effort of ours in these weeks. Young people who want to join this should go the Castlerigg website here. 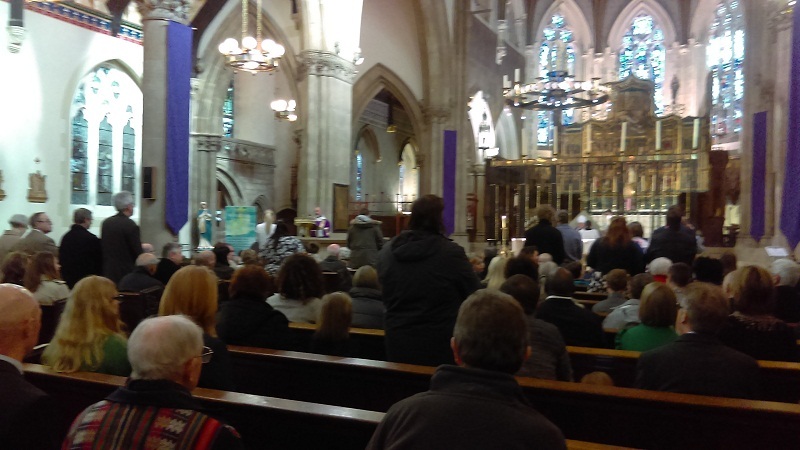 On Saturday afternoon, I presided at the Rite of Election in our Cathedral church in Lancaster – which was well attended by those adults – across the Diocese – wishing to baptised this Easter in their parish communities – and also those who are to be received into full communion with the Catholic Church. 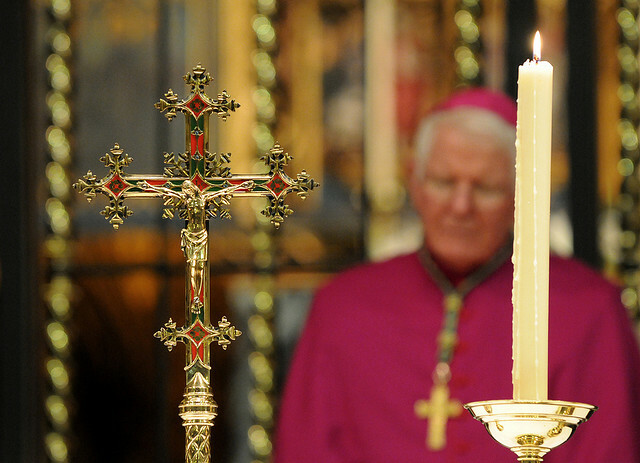 The Rite of Election is a significant step for those who want to be received into the Catholic Church – preparing to receive the Sacraments of Baptism, Confirmation and the Eucharist at Easter. 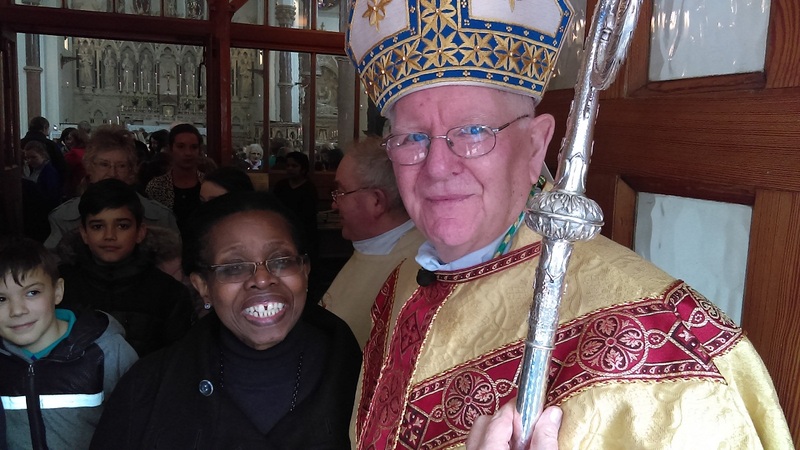 It is also an occasion of joy to these individuals’ families, friends and local fellow-parishioners and clergy who work to accompany their journey of faith. 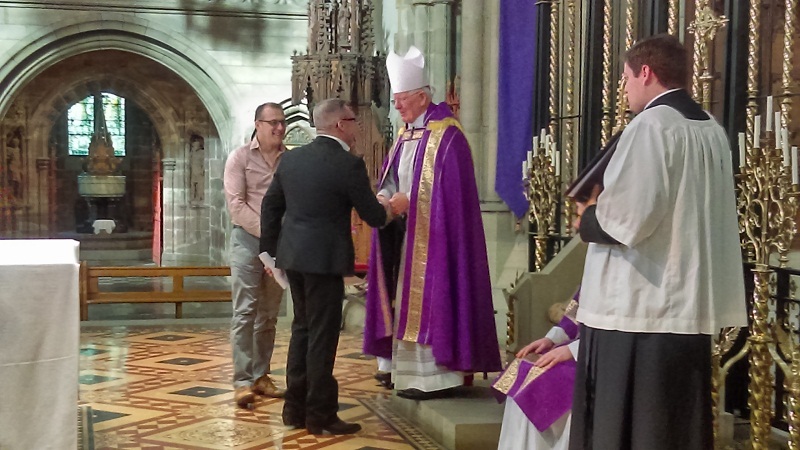 After the candidates have completed their formation in the Catholic faith, the Rite of Election is celebrated by the local Bishop who chooses them and elects them in the name of the Lord and of the local Church (for us the Diocese of Lancaster) to which they belong. The call, the election, of the Church embodies in human voice the call of God to which the candidates have already responded. 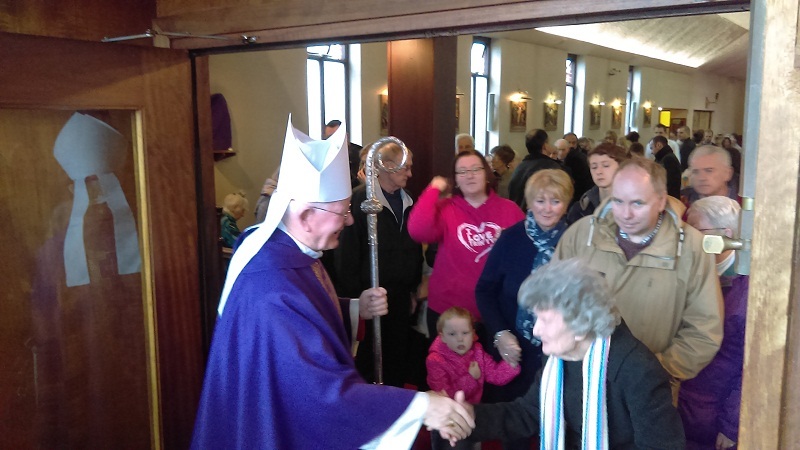 The rest of my weekend was taken up with Parish Visitation to St. Bernadette’s parish, Bispham (Blackpool), which now forms part of St. Kentigern’s Blackpool Deanery. 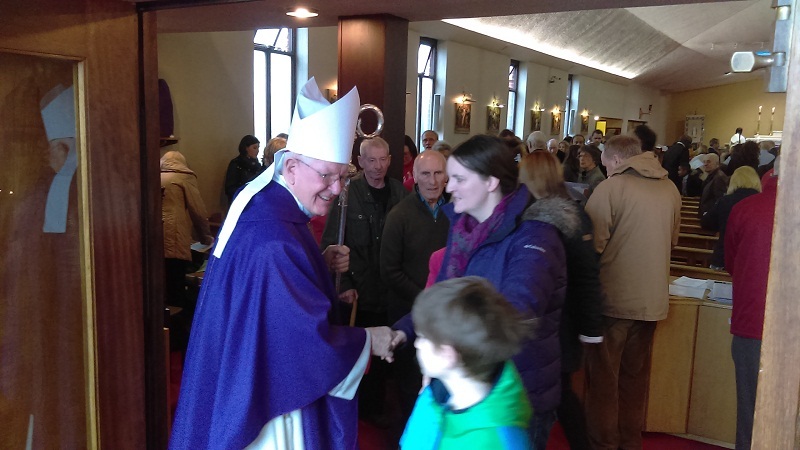 I celebrated the Saturday Vigil Mass and met the people afterwards, then at a well-attended Sunday morning Mass I Confirmed seven young people from the parish, which always is a source of joy for both families and parishioners, and of course for the newly-Confirmed themselves. 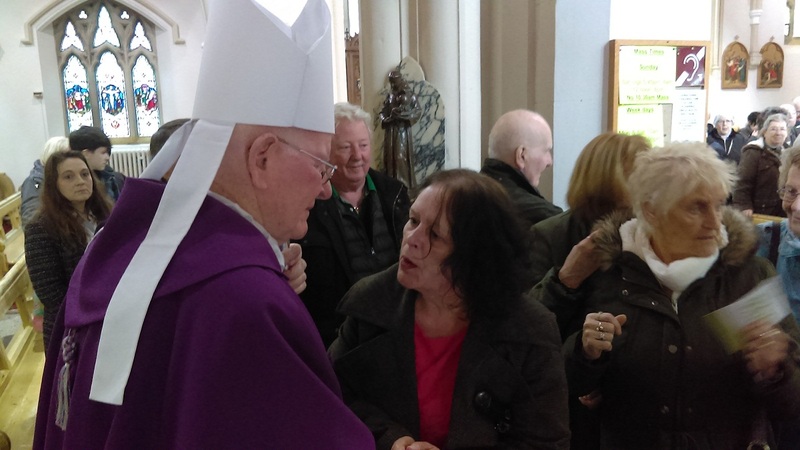 The Mass was followed by a pleasant reception in the church hall which allowed everyone to meet and mingle and to enjoy what was a lovely and highly satisfying occasion. I joined the parish priest and representatives of the parish for a buffet afterwards before setting-out with two SVP members on a visitation of some housebound parishioners. 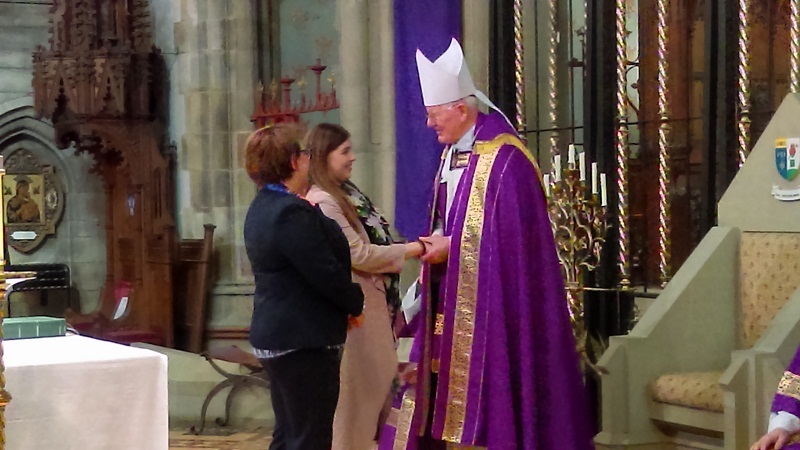 As I have often noted, these visits are special moments and the welcome extended to me as Bishop is warm and genuine. The loyalty of family members in caring for those of advanced years was very touching, and a further reminder of an unsung but deep Christian faith expressed in daily care for one another, and often without complaint. The Spirit of the Lord, the Holy Spirit, continues to pour out God’s love in the world, especially through love of one’s neighbour. One comes away from such visits both edified and humbled. 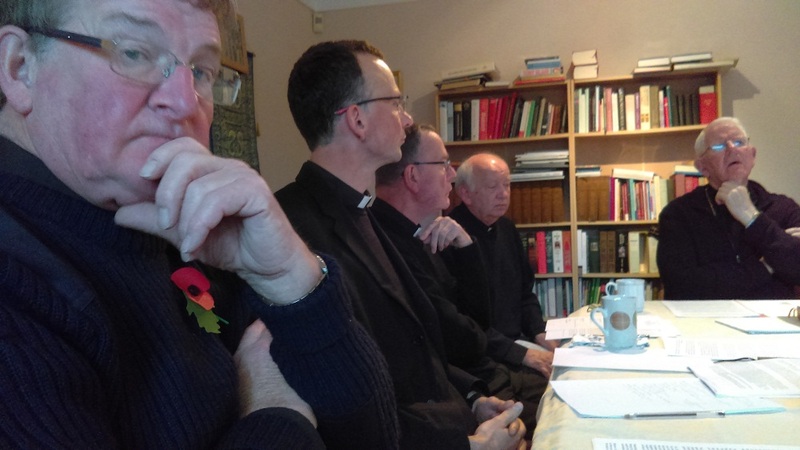 My week continued by chairing a meeting of our diocesan trustees who are ultimately responsible for the well-being of the Diocese. 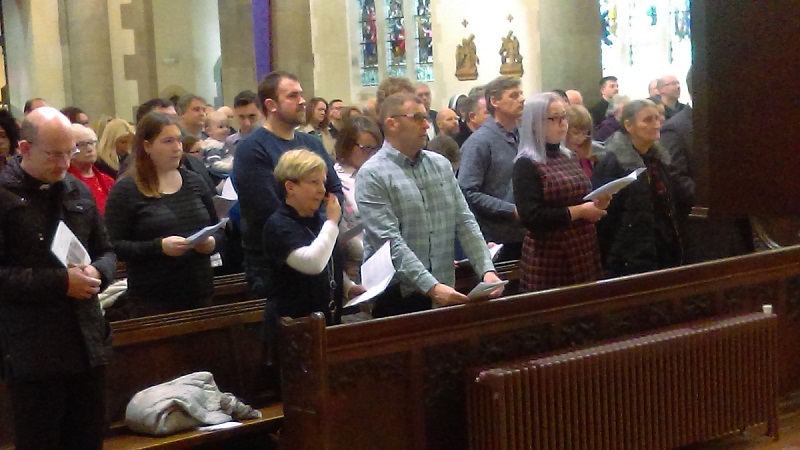 The individual members, both clerical and lay, give generously of their time and talents to ensure the sound management of the Diocese of Lancaster. Their contribution to the life of the local Church is greatly appreciated. 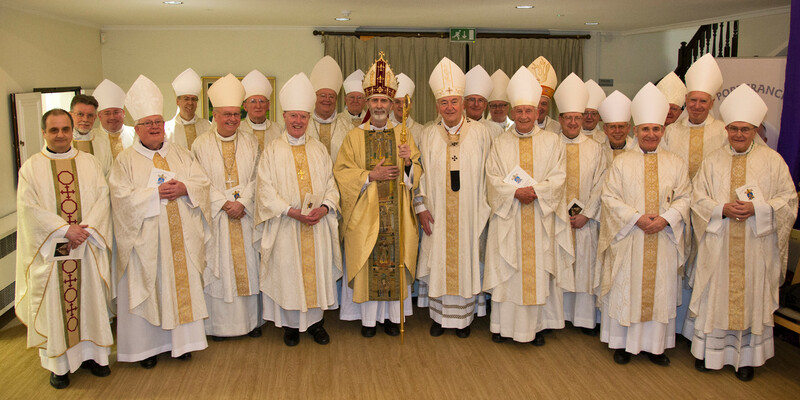 Finally, the Council of Priests had the first of their bi-annual meetings on Wednesday. 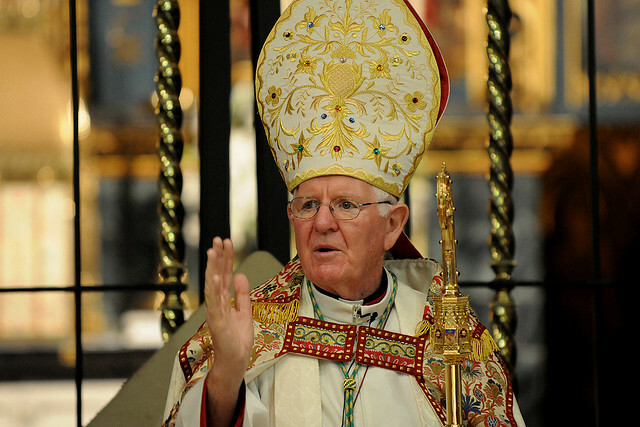 This body is representative of the priests of the Diocese and whose existence is prescribed by canon law. 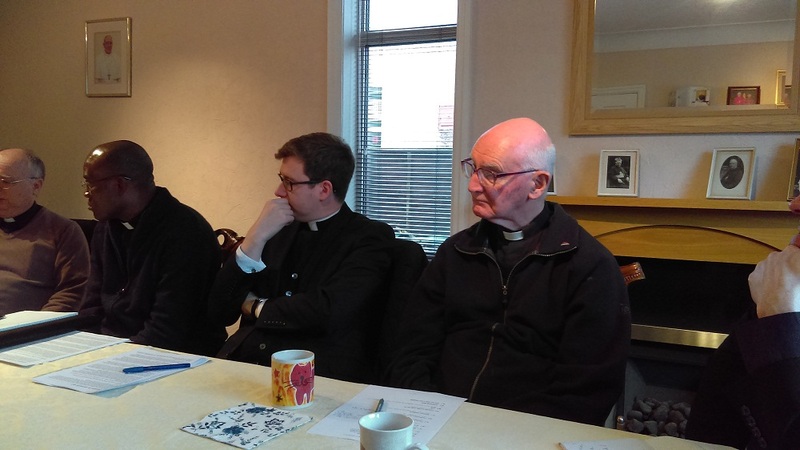 Among other things, they bring the concerns of the different deaneries to the table, approve the diocesan budget for the year, and discuss with the Bishop issues principally of a pastoral nature which bear on the life of the parishes. This priestly gathering also enhances and encourages priestly fraternity over shared food afterwards. It is always good when priests get together and share one another’s company, and experience that unique bond of the priesthood. 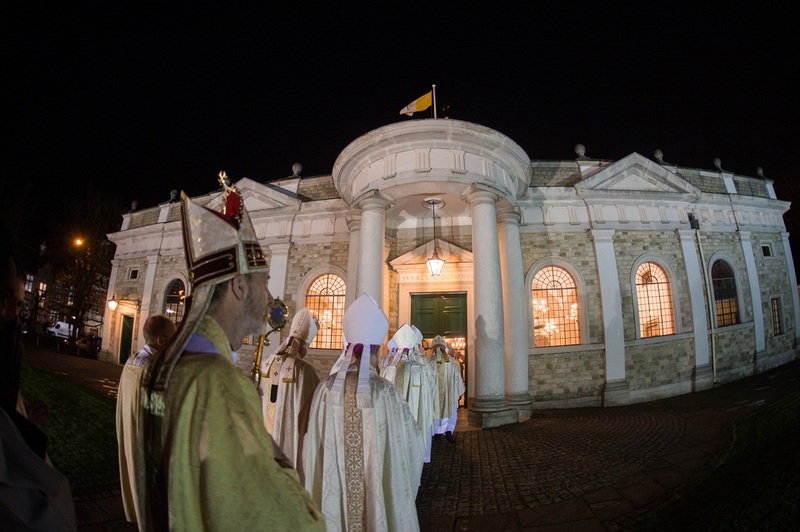 With the coming of the season of Lent, the Church now begins her time of spiritual preparation for the solemn days of Holy Week and the greatest of all feasts, that of Easter. In setting apart these forty days the Church is following the example of our divine Lord who, as we just heard in the gospel, spent the same period of time in the wilderness, in prayer, fasting and self-restraint, through struggling with temptation, just before He began His public ministry. Lent, therefore, is a hallowed and grace-filled time for all of us who wish to follow Christ in His Church as His disciples. 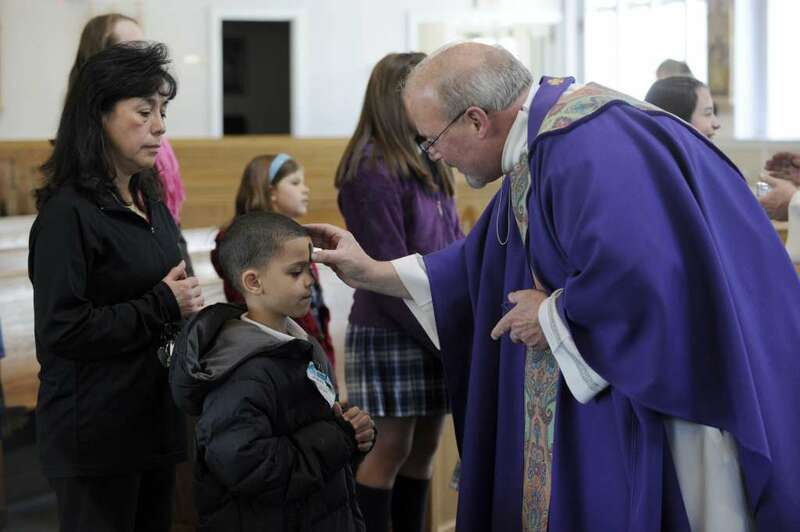 The season of Lent sharpens our awareness of the needs of our poorer brothers and sisters and of our Christian obligation to assist them in any way we can. 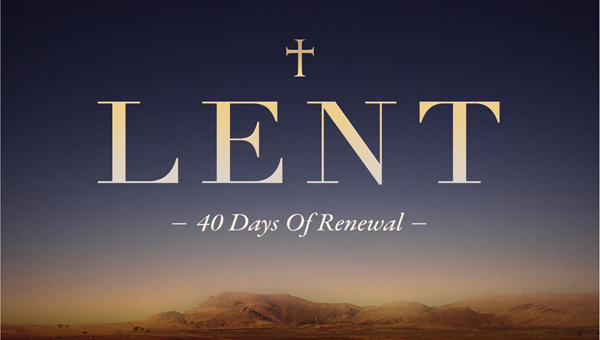 Yet we must not forget that Lent is also intended to be a time of personal growth and for developing our own spiritual life. Through acts of self-denial and by forgoing unnecessary pleasures, we are uniting ourselves closely with our Lord in His temptation and struggle. By resisting the three temptations of Satan, Christ was rejecting purely material satisfaction, the attraction of celebrity status, and the human temptation to force the hand of the Lord our God. The Son of God is here teaching us that walking the ways of God in this life will often involve struggle and hard choices. 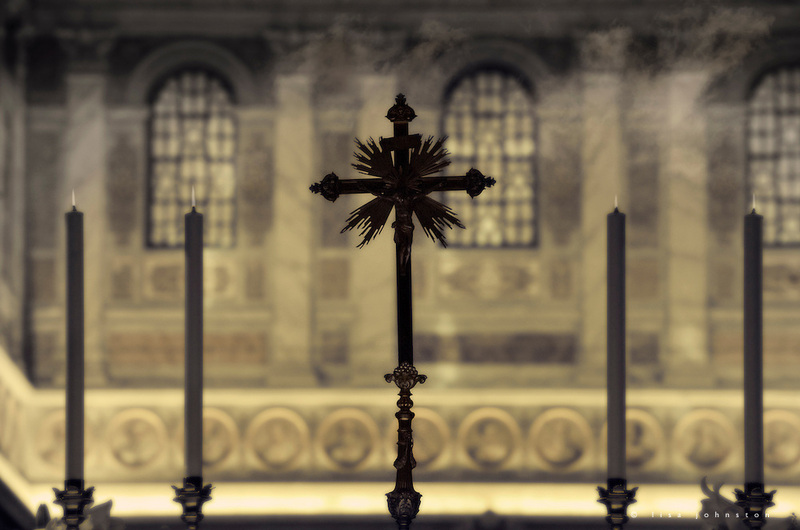 This special season of Lent, therefore, is a grace-filled invitation from God to look carefully at ourselves, and to rediscover what really matters in our lives. Lent is meant to be a time of spiritual fruitfulness. The Scriptural readings at today’s Mass sketch the drama which is at the heart of our faith. The original disobedience of Adam and Eve and their rejection of God’s will has left us all wounded in some way. In the fullness of time God has taken pity on us by sending His beloved Son to heal that deep-seated wound. Where the sin of Adam abounded, the grace of Christ abounded even more. Almighty God has refused to let sin and evil have the last word. The Son of God through His death and resurrection has restored to humanity what has been lost. 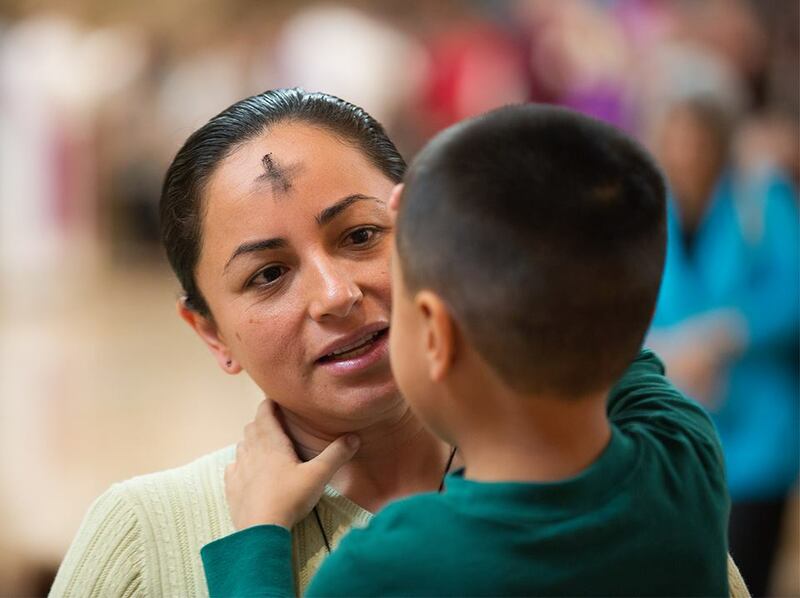 The sacred time of Lent is a precious opportunity for each one of us personally to make Christ’s redemption our very own. 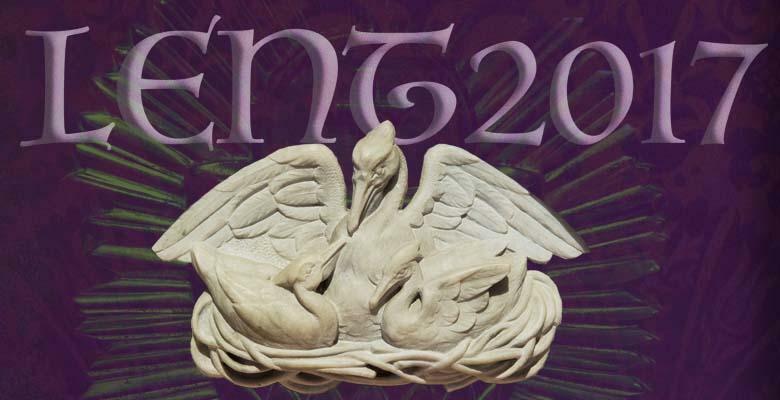 Those practices traditionally associated with Lent – prayer, fasting, almsgiving – will help us in this regard. 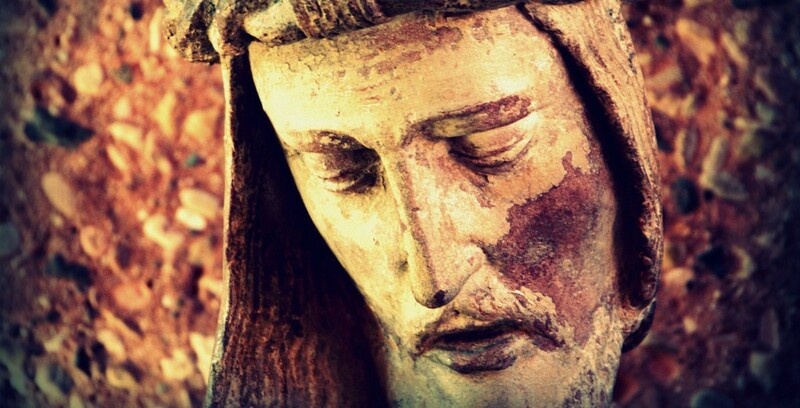 We are only too aware of our weakness and our failure in dealing with temptation, but Lent should reassure us. The Fathers of the Church taught that the Good Samaritan of the parable was in fact Christ Himself, come to heal and bind up the wounds of a bruised and broken humanity, pouring in the oil of His love and mercy. 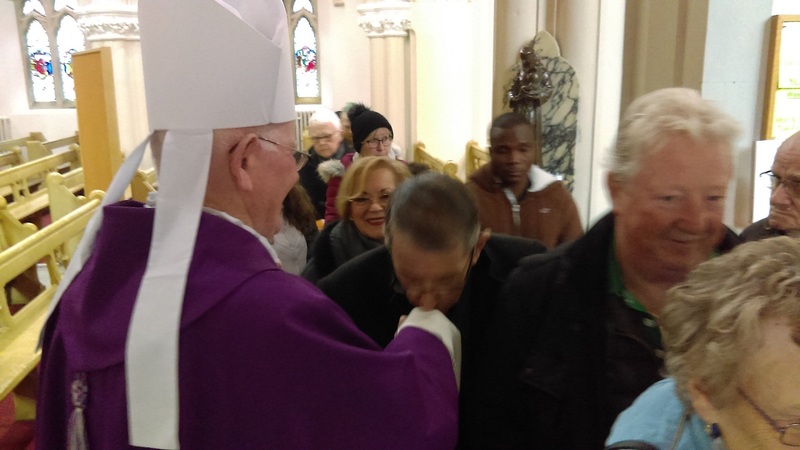 We meet that Good Samaritan each time we attend Mass and receive any of the sacraments He has left to His Church, especially the Holy Eucharist. I also urge you, dear brothers and sisters during Lent, to make a good Confession; there as always, you will find the gentle Christ awaiting you with mercy and forgiveness. As we live through uncertain times at present, let us be of good heart and full of confidence, keeping our gaze firmly fixed on Christ, the pioneer and architect of our faith. 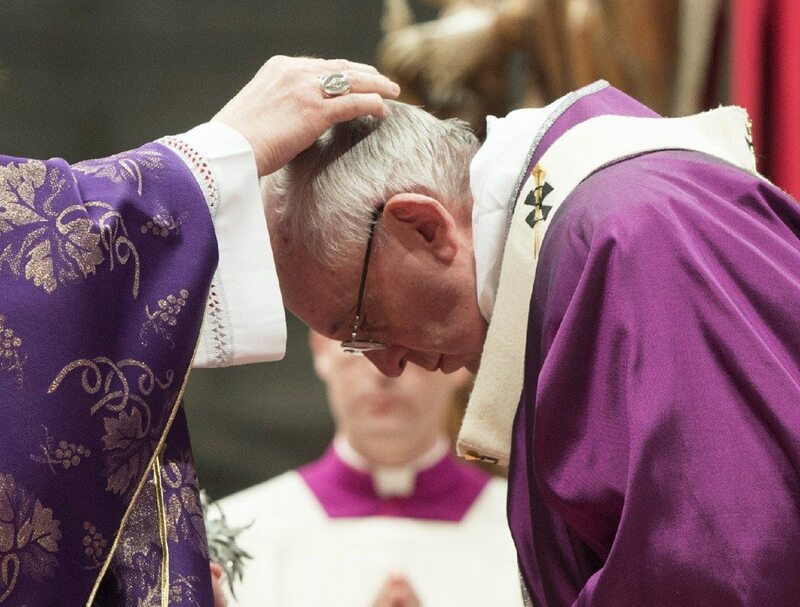 As your Bishop, I pray that this unique season of Lent may be one of divine grace and blessing for all of us, and that we will celebrate Easter with joy and in the enduring hope which comes from the Lord’s resurrection.